Many of the most notable recent Supreme Court decisions have been sharply divided affairs, usually involving predictable configurations of conservative and liberal justices glaring across a vast chasm of ideological differences. The majority and dissenting opinions in cases such as last term’s decisions on the Voting Rights Act and the Defense of Marriage Act reflect such fundamentally opposing judicial worldviews that it can be hard to imagine their authors agreeing on much of anything of importance. Yet these 5-4 decisions, which capture the attention of the public and scholars alike, reflect only a fraction of the docket of the nation’s highest court. As the justices often remind audiences when writing or speaking about their work, they actually agree with each other quite often. Approximately one-third of all decided cases in recent terms have been unanimous. If we add those decisions in which only a single justice dissented, we find a majority of cases in recent terms have been either unanimous or nearly unanimous. Why does this happen? How can a court that is so polarized on many of the most foundational legal and constitutional questions come together with such regularity? This is the question explored by political scientists Pamela C. Corley, Amy Steigerwalt, and Artemus Ward in The Puzzle of Unanimity: Consensus on the United States Supreme Court. A roundup of faculty appearances in news sources and media from the last week, 1/23/14 to 1/30/14. 1/27 – Dean Harold Krent was interviewed for a segment on CLTV’s Politics Tonight about the President’s executive authority. 1/27 – Professor Richard Wright was quoted in a Bloomberg BNA Criminal Law Reporter article on causation in two current US Supreme Court cases, Burrage v. United States and Paroline v. United States (“Supreme Court Adopts General Rule For Causation Required by Criminal Statutes,” subscription required). 1/28 – Professor Mark Rosen appeared in an ABC7 video and article on Illinois’s pension plan reform legislation (“Ill. labor unions sue over plan to cut pensions”). 1/29 – Chicago-Kent’s Documentary Film Series on Race, created by Professor Bernadette Atuahene to foster meaningful discussions about race, announced three new films that will be shown on campus this semester—A Class Apart (Feb. 20), The House We Live In (March 26), and Raising Our Voices (April 22). Check back on this blog for more information in the near future. 1/29 – Dean Harold Krent appeared in an Al Jazeera America video to discuss capital punishment (“States consider alternatives as lethal injection supplies dwindle”). 1/28 – Professor Sheldon Nahmod wrote about his new video outlining section 1983 basics at his blog, Nahmod Law. 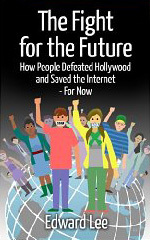 Professor Ed Lee’s latest book, The Fight for the Future: How People Defeated Hollywood and Saved the Internet—For Now, is now available as a paperback. The Fight for the Future was originally self-published as an e-book in September 2013; the self-published print version is now being sold on Amazon.com and Lulu.com. The book explains how a grassroots movement involving millions of people was able to defeat money, politicians, Hollywood, and the copyright lobby, all in the name of a “free and open Internet.” In particular, Prof. Lee describes the ways in which people used Facebook, Twitter, and other social media to organize and launch protests against SOPA and ACTA, two controversial copyright proposals in the United States and European Union that many feared would lead to Internet censorship. The protests included the infamous Wikipedia blackout of January 18, 2012, and mass demonstrations on the streets of over 250 cities in all 27 countries of the European Union. For more information, visit the book website here. Last week’s Supreme Court oral arguments on the President’s recess appointment power was absolutely fascinating. National Labor Relations Board v. Noel Canning might seem on the surface a rather dry, technical case. But it has potentially dramatic implications. (Here is my colleague Carolyn Shapiro’s excellent summary of the case and its possible implications.) And, as the oral arguments showed so well, the case puts on fine display some of the most fundamental of questions relating to constitutional interpretation. These questions about the relationship between text, history, and established practices often lurk in the background when the Supreme Court considers major constitutional issues, but in this case they are uniquely foregrounded. IIT Chicago-Kent Professor Christopher W. Schmidt has been named director of the law school’s Institute on the Supreme Court of the United States (ISCOTUS). Professor Schmidt succeeds ISCOTUS founding director Carolyn E. Shapiro, who was recently appointed Illinois Solicitor General. Established in 2011, ISCOTUS provides information, educational resources, and scholarship on the nation’s highest court. The Institute on the Supreme Court of the United States combines the law school’s core strengths: cutting-edge legal scholarship and technological innovation. The institute comprises three major components: the ISCOTUS Academic Center; the Oyez Project and ISCOTUSnow; and the Civic Education Project. 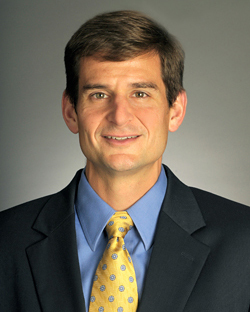 A member of the IIT Chicago-Kent faculty since 2008, Professor Schmidt teaches in the areas of constitutional law, legal history, comparative constitutional law, and sports law. He has written about the political and intellectual context surrounding the U.S. Supreme Court’s landmark decision in Brown v. Board of Education, the Tea Party as a constitutional movement, the Supreme Court’s recent decision in the health care case, and the rise of free agency in Major League Baseball. He is currently writing a book on the legal history of the student lunch counter sit-in movement of 1960. A roundup of faculty appearances in news sources and media from the last week, 1/16/14 to 1/23/14. 1/17 – The Chicago Daily Law Bulletin ran a feature on Chicago-Kent’s new Praxis Program, which aims to provide students with practical, experiential learning that will prepare them for the law profession (“Training ‘client-ready’ students at Chicago-Kent,” behind paywall). 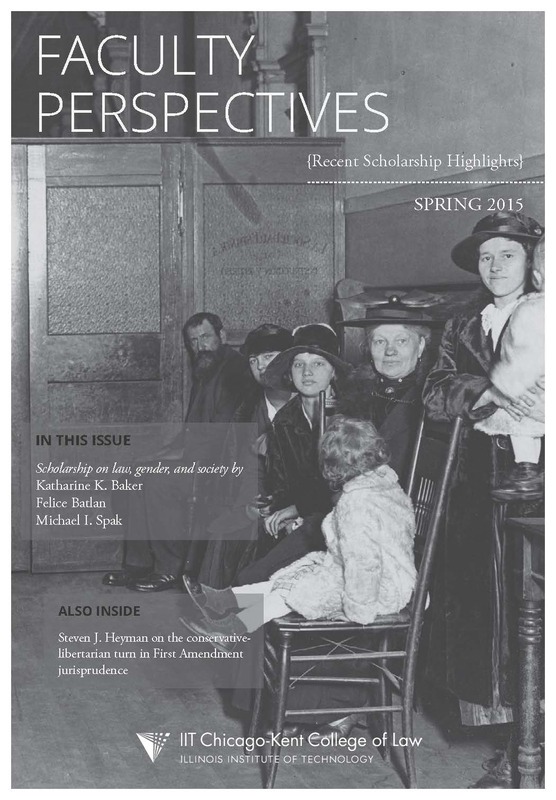 According to the article, the program is “named for the Latin word that distinguishes practice from theory” and “will place a framework around 25 pre-existing courses that train students in a list of core competencies, such as interviewing clients, networking and understanding the new roles of technology in the law.” Dean Harold Krent and Professors Sarah Harding and Kathy Baker were featured in the article. 1/22 – In an interview on WDCB Public Radio, Dean Harold Krent discussed the US Supreme Court’s landmark decision in Roe v. Wade, now 41 years old (“Roe v Wade Changed Public Perception of Supreme Court”). Listen to the interview below. 1/20 – Professor Sheldon Nahmod wrote about a new Supreme Court case at his blog, Nahmod Law (Cert Granted in New Public Employee Free Speech Case: Lane v. Franks). In this video produced by Oyez/ISCOTUS, Professor Martin Malin explains the issues at stake in Harris v. Quinn, a US Supreme Court labor case out of Illinois that questions a tenet of union membership. The Court heard oral arguments in the case on Tuesday. The New York State Task Force on Life and the Law released its Report and Recommendations for Research with Human Subjects Who Lack Consent Capacity today, which analyzes the ethical and legal implications of involving cognitively impaired adults to participate in human subjects research (HSR). The report provides recommendations and guidance to institutional review boards, researchers, and legal authorized representatives to ensure the ethical conduct of research subject to New York State oversight involving adults who lack the capacity to provide consent as a result of dementia, developmental disabilities, or other conditions. Although New York State law provides mechanisms for ensuring voluntary informed consent for participants and IRB review, it does not provide any oversight of research involving adults who lack consent capacity. Similarly, federal regulations do not provide safeguards or special protections for research involving this vulnerable population, despite calls to do so. Without safeguards that are adequate and robust but not overly burdensome, the conduct of ethical research with this population is ethically and legally challenging. While some institutions and investigators are conducting research with this group without guidance—risking exploitation of this vulnerable population—others are taking an extremely conservative approach and are excluding these individuals from research. Excluding them could mean a dearth of important research into the broad range of diseases that impair cognition. To address the gap in oversight, the Task Force drafted a set of legal and ethical guidance regarding the conduct of research in New York State involving individuals who lack consent capacity. An underlying goal of the work is to ensure that research protocols are available to all individuals so that they may experience the benefits of research and share its risks and burdens like people who are not cognitively impaired while also ensuring the appropriate level of protections. To see a full list of the Task Force’s recommendations, continue reading here. A roundup of faculty appearances in news sources and media from the last week, 1/9/14 to 1/16/14. 1/12 – Dean Harold Krent was interviewed on Fox 32 News about Illinois pension reform. Watch the video here. 1/14 – Illinois Attorney General Lisa Madigan named Professor Carolyn Shapiro as the state’s new Solicitor General. Read the official Chicago-Kent press release here. The news was also featured in the Chicago Daily Law Bulletin (“Top appeals lawyer goes to Jenner & Block”). Read the rest of his comments here.